Along with peeping birds, blooming crocuses and longer days, Brooklyn’s symbol of the end of winter has arrived: Coney Island is officially opening this Sunday, with a ribbon cutting ceremony, the 30th Annual Blessing of the Rides at Deno’s Wonder Wheel Park, and a ceremony by the NYC Fire Department Color Guard. 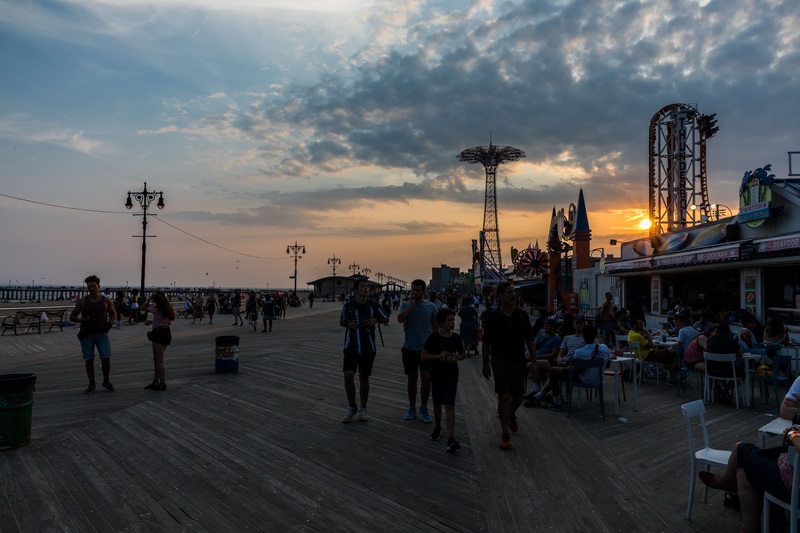 Make sure to arrive early — the Blessing of Rides takes place at 10:30 a.m. and Deno is gifting free rides on the Wonder Wheel to the first 95 people in honor of their 95th year. The park is also giving away free rides for 300 kids from the local Salt N Sea Mission. Park owners Dennis and Steve Vourderis will be cutting the ribbon at the ceremony, while the FDNY Color Guard will present the colors and sing the National Anthem. At noon, festivities kick off at the Cyclone at Luna Park. The first 100 guests get a free ride on The Cyclone Roller Coaster. The world famous Coney Island Circus Sideshow opens at 1 p.m. See coneyisland.com for more.